Okie dokie - so I've mentioned before that I play Starcraft 2 under my Linux install with no issues. Since the game's official release a few days ago I have been getting a good bit of traffic on those two pages - so I figured I would put together a quick HOWTO for getting Starcraft 2 working on your Linux distro of choice. The game runs under Wine 1.2 and/or Crossover Games 9.1 with a small bit of work (the latter is easier to make work). In the configuration Window it opens go to the libraries tab and enter mmdevapi in the new override for library box and click add. Now scroll through the existing over rides list for mmdevapi click edit and set it to disabled. Finally click on the audio tab and set it to alsa. As of Crossover 9.1 Starcraft 2 is listed as "officially support" and as such you will find that it has an entry in the automated games installer. The only issue is that after the game has actually finished installing the StarCraft 2 process hangs around - meaning Crossover never actually knows that the game has finished installing and thusly never creates menu entries for it. Thank fully there is a simple fix for this - after Starcraft 2 has finished installing, open up your system monitor and look for any rogue Starcraft 2 processes and kill them off. After you have done this the CXGames installer will know that it has finished installing and will create the menu entries as it should. 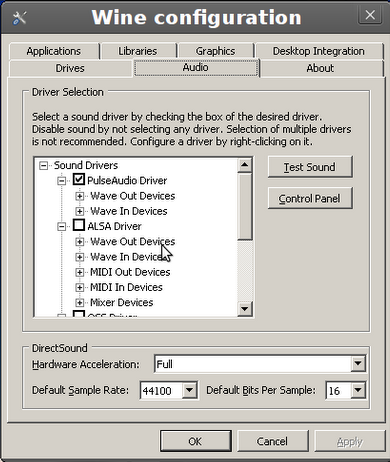 If you have audio issues under Crossover you can open your Starcraft 2 bottle's WineCFG, select the audio tab, and set hardware acceleration from full to emulated. Also - if you are attempting to get the game running with an ATI card, it was suggested in the comments that making it run under a virtual desktop allows it to run on some systems it otherwise fails to work on. I tested the above methods on Ubuntu 10.04, Linux Mint Debian, and Chakra - but they should be applicable to any modern Linux distribution. Have any issues feel free to drop a comment below and I will do my best to lend a hand debugging. Happy gaming! One of the mottos the Linux community has is "if you don't like it - then fork". 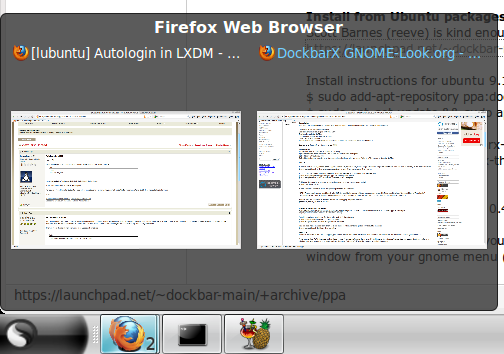 While this is interesting idea it has created as many Ubuntu derivatives as the day is long. Don't believe me? Check Distrowatch - as I am posting this four of the eight "new releases" listed on the front page are Ubuntu derivatives. Now personally - I do not think this is a bad thing. Not the same thing works for everyone and when you are new to the world of Linux it is easier to try a different "spin" than it is to learn to configure everything yourself. The only problem with all these spins (and something I've often heard complaints about) is that there is too much choice when selecting what flavor of Ubuntu to install. I make a point of trying as many different variations of Ubuntu as I can, this way I can be informed when I recommend one version over another to friends and family. The following is a round up of my favorites I have found over my last three years in the world of Linux. This is a spin just recently released and it has become the main OS on my Sager laptop for a number of reasons. Overall Pinguy OS has a very elegant, unified feel to it and careful work has been put into the visual aspects of the operating system with a close attention to detail. The current release is based on Ubuntu 10.04 and Pinguy has says he plans to release a new version with each new Ubuntu release. 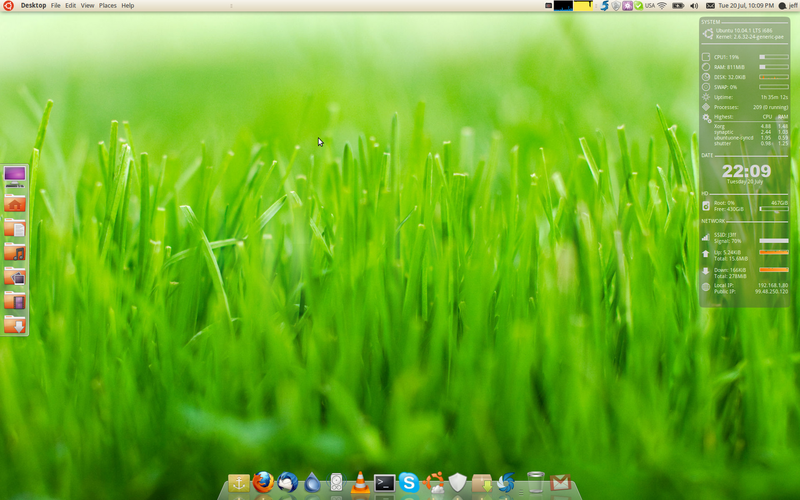 Linux Mint is one of the older Ubuntu spins and it is still one of the best. It is where the fantastic menu and update manager Pinguy OS also uses were developed and it set the standard many derivatives have followed of including codecs, flash, and java in their releases (although the latter of these three is not include on the CD version of Mint). Where is Ubuntu has begun changing their default application set, Mint sticks to its roots - still including the Gimp and Pidgin instead of Empathy. The latest release of Mint is version 9 and it is based on Ubuntu 10.04 - Mint follows a release cycle the is typically a month or so behind Ubuntu releases. Lubuntu leaves a memory footprint right around 100megs on a fully booted system. 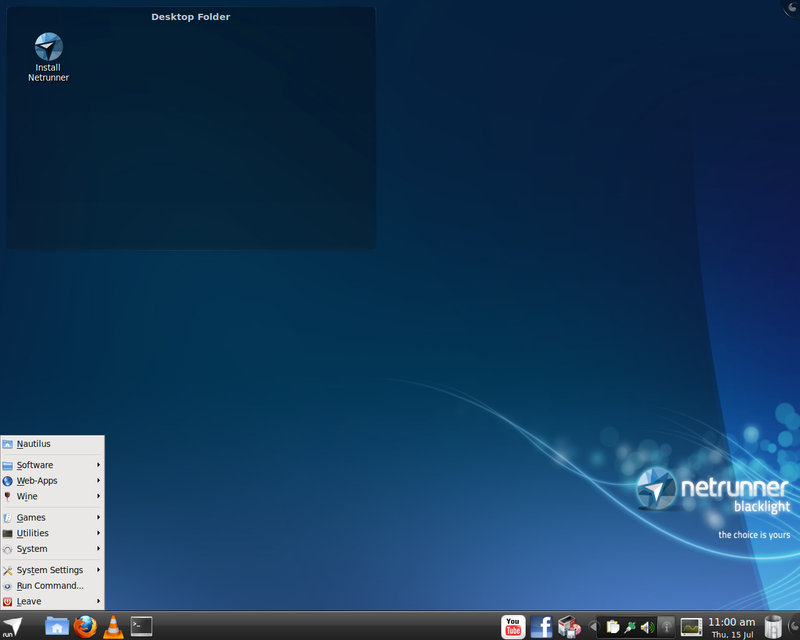 It uses LXDE and is designed to be quick. 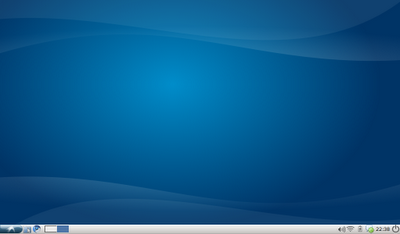 The latest release of Lubuntu is based on 10.04 and Lubuntu follows a very close release cycle to Ubuntu. Before anyone leaves a "what about Crunchbag" comment - sorry, I prefer Lubuntu. Jolicloud is designed to work with as many different netbooks as possible. In fact it is one of the only distros to support the GMA500 out of the box. It is based on 9.04 - but don't worry about this older version number, Jolicloud has some of it's own repositories to provide more up to date packages to it's users. 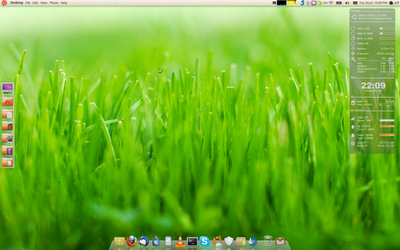 Moon OS is an E17 distro that is based on 9.04 It looks elegant, is fast, and is decently stable. The only real draw back to it is the fact that being based off of 9.04 is contains mostly older packages. If you want an update to date version of Ubuntu with E17 you might want to try compiling from SVN or Bodhi Linux. These are what I feel are seven of the best Ubuntu derivatives and the area in which I feel they shine. Is there another type of Ubuntu spin you think I missed on my list? Or maybe you feel one of my picks should have been something else - if so let me know by dropping a comment below. I've talked about my favorite N900 applications before, but today I am going to discuss some applications that add some useful functionality to my favorite hand-held device. These are applications I feel almost every N900 owner will use at some point or another if they are made aware they exist. #1 RootSH - That is right - with the N900 "rooting" your device is as simple as installing a single package from the official Maemo repositories. You should always have full control of your own computer(s). #2 Catorise - The default "throw everything in big mess" method of sorting icons in the Maemo application menu is horrid. Catorise takes everything you have installed and sorts it into different menus - just like a desktop Linux distribution does. 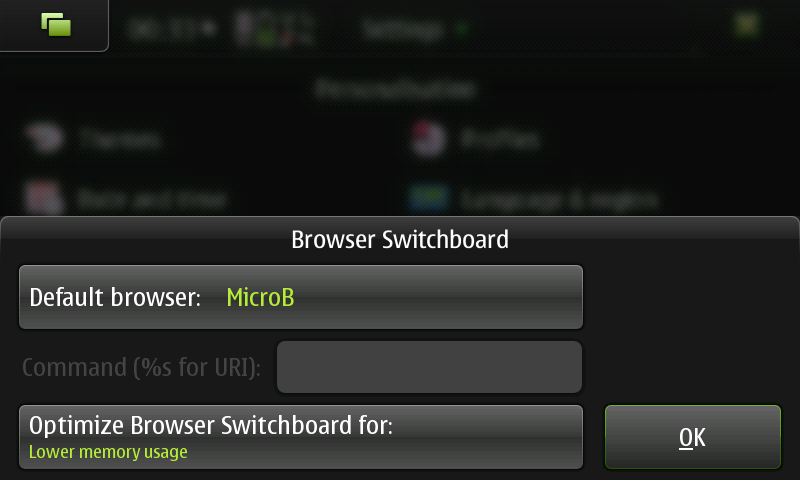 #3 Browser Switchboard - If you have played with Firefox or Opera on your N900, then odds are you might have decided you like one of these more than MicroB (the default N900 browser). Browser switchboard add an option to your system settings for changing which browser is the default one selected URLs open in. #4 Tweakr - If you like to tinker with settings - then meet your new best friend. 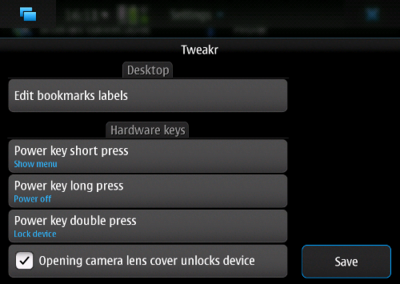 Tweakr allows you to easily edit more than a few things on your device. Personally I really like the "snap to grid" it enables for desktop icons. 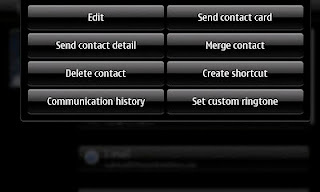 #5 Ringtone Per Contact - A basic phone function that Nokia manged to leave out of Maemo by default - even my flip phone from 2001 could do this. 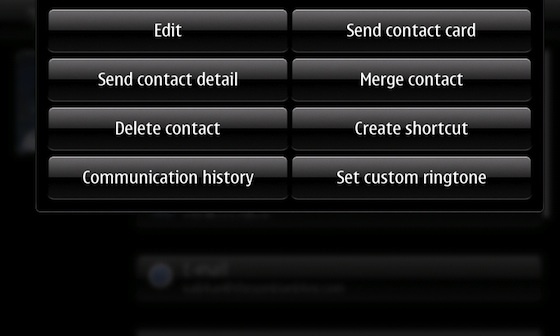 With this package you will be able to have this functionality on your N900. #6 fMMS - While I am on the subject of functionality Nokia left out of Maemo by default - if you haven't already go grab fMMS. 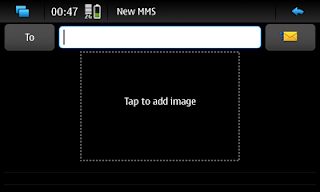 This allows you to send and receive picture messages on your N900, it works very well. 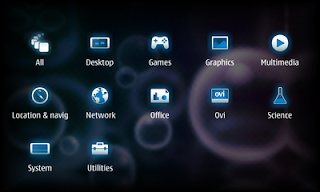 Know of any other useful "utility" applications that add some extra (and useful) functionality to the N900? If so - let me know by dropping a comment below. My favourite type of distros are Ubuntu based. 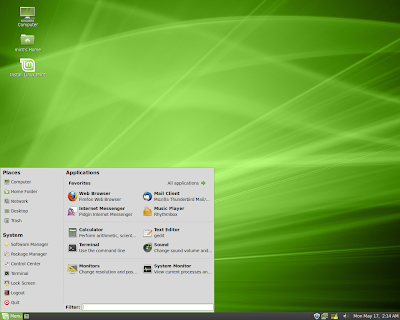 For some time now I have been making a case for why you should be using Linux Mint. Even though I think Mint is fantastic, I still make it a point to try other distributions. I made a pit stop at Zorin 3 for a short while and even though it had many wonderful qualities it didn't quite knock Linux Mint out of my top spot. 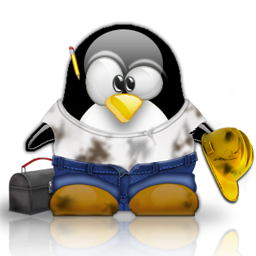 I have now found my new favourite distro and it goes by the name of Pinguy OS. 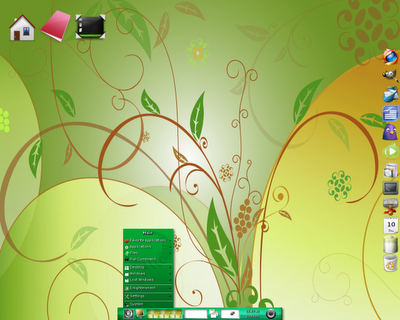 Pinguy OS started off as an Ubuntu 10.04 Minimal CD that was customized like no other to include a fantastic range of default applications, Gnome applets, Firefox addons, and theme. 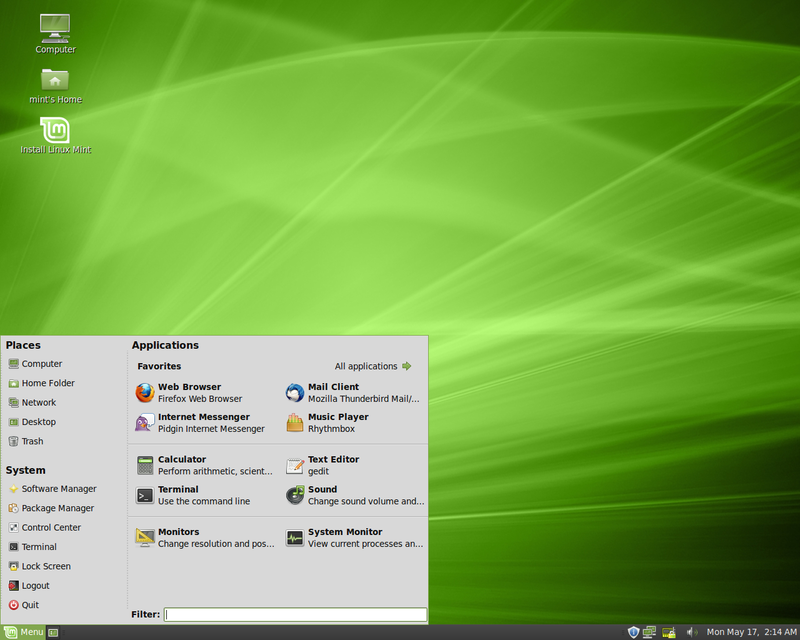 Pinguy OS includes all five of the reasons I listed for using Linux Mint. 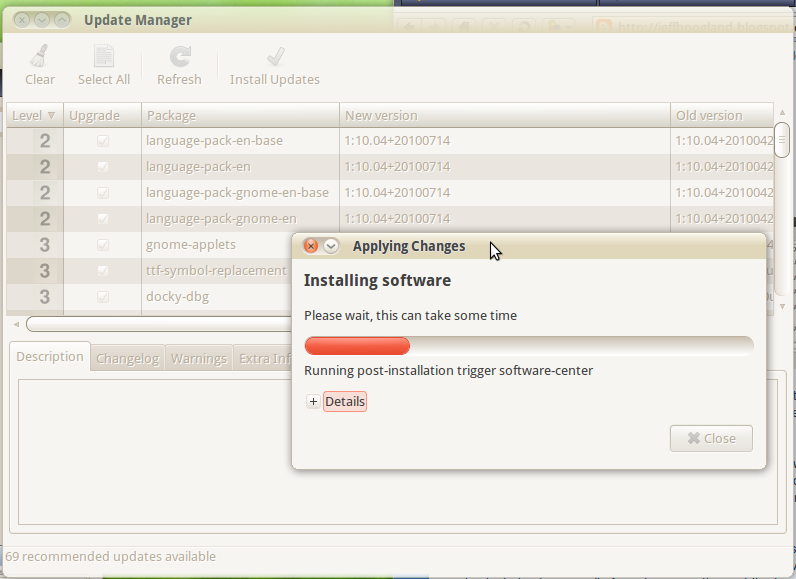 and even Mint Update Manager. and another down the left side of the screen which displays your main folders as well as any removable media. The Firefox that ships with Pinguy is heavily customized to include a fantastic selection of addons that add an array of features to the browser (and Firefox on Pinguy feels much "snappier" than it does on Mint/Ubuntu). One last feature I would like to note about Pinguy that I wish other distros would start adding is that the i686 (32bit) auto detects your system memory and if it sees more than 3 gigs of RAM it downloads and installs a PAE kernel for you. Meaning if you have more than 3 gigs of RAM on your system it will all accessible to you right away. 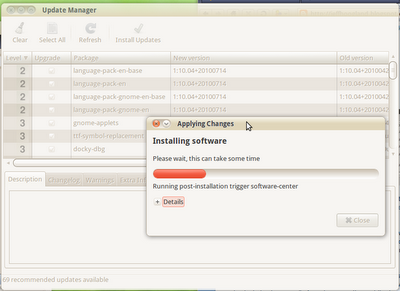 The Pinguy installer also uses the internet to auto detect and setup your timezone and keyboard layout for you. Next time you are looking to install Ubuntu on your own, or anyone else's system, you should seriously consider using Pinguy instead - if you do odds are you will be pleasantly surprised. That is just didn't like the latest Firefox I had installed. For an entire trimester I just clicked past this Window (the website itself worked perfectly fine in my bleeding edge Firefox). Earlier this week however I was curious as to just want browsers were "supported" by the Blackboard system. It was then that I discovered what they really meant by "supported browsers" was "supported operating systems and browsers". That is right - not a lick of Linux support (or even listed compatibility) in sight. Nevermind the fact that Linux with the Firefox browser works fine for accessing the webpage - they just refuse to test it (or if they have tested it they refuse to list it as working). Now, for someone such as myself this isn't really a big deal. I see a message such as this one, shrug my shoulders, and see if it works anyways (which it does in this case). My problem with things such as this is that what if one of the many people I have installed Linux for visit a webpage such as this one? Most people are easily intimidated by messages such as this and more than a few would not even try to log in after seeing their "browser" is "not supported". I am really hoping messages such as these will become less and less frequent as Linux gains more desktop adoption and operating systems such as MeeGo and ChromOS become pre-installed on more netbooks. Oh, if you would like a bit of irony - when you search the keyword "linux" on the blackboard website you can find instructions for setting up the service on a Linux server... 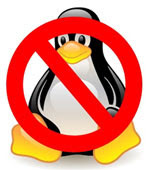 Anyone else know of any other websites the cry "no Linux", but work fine with the penguin anyways? July 16th, 2010 marks the next release in the "stable" line of Wine releases. Periodic "stable" releases of Wine are important because they are heavily tested to ensure that no regressions have occurred (meaning software that was working, will continue to work) between versions. It has been over two years since we saw Wine 1.0 stable released (which feels like a life time in Linux years - I mean comon that's a whole Ubuntu LTS release ago). This new release brings with it over 3,000 various bug fixes, as well as added support for 64bit applications. For a complete change log check here. New stable releases of Wine are so important that my two favorite commerical Wine products, Bordeaux and Crossover, have both jumped right in Wine 1.2's new stably goodness with soon to be release product updates. In addition to all the improvements Wine 1.2 brings to the table Crossover's 9.1 release also includes fixes that allow Star Trek:Bridge Commander and Modern Warfare 2 to function properly again. Their change log also notes "Made several application profile tune-ups" so hopefully your favorite games will perform a bit better under this Crossover release than they did with older versions. Also worth mentioning is that in celebration of the Wine 1.2 release Bordeaux is currently having a 50% off sale - 10$ for this product is a steal. It is well worth it for the time it can save you if you use Wine software often on your Unix systems. 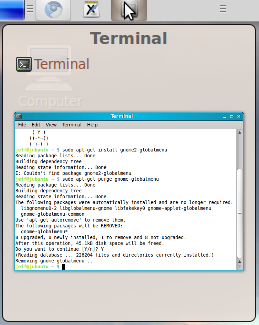 I wrote a HOWTO for getting Linux working on the T91MT a couple months back and as I mentioned here I ended up changing to the slightly larger T101MT. Since Unix based operating systems are the only thing I have running on my hardware it was only natural I would install Ubuntu on my new tablet. The following is what I did to gain full functionality of the tablet under Ubuntu (And Linux Mint and Zorin). Enlightenment runs great on tablets, check out a video of Bodhi Linux running on the T101MT here. By default when you press on the touch screen your mouse cursor will jump to the upper left hand corner of your screen. We need to do a couple of things to get this working properly. 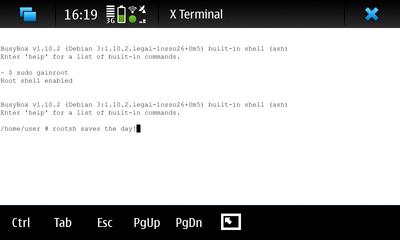 If you are running the 2.6.32-21 kernel, download and install this file. If you are running the 2.6.32-22 kernel, download and install this file. If you are running the 2.6.32-23 kernel, download and install this file. If you are running the 2.6.32-24 kernel, download and install this file. If you are running the 2.6.32-25 kernel, download and install this file. After you have installed all three of these packages reboot your netbook. When it finishes booting back up go to System->Administration->Calibrate Touch Screen and go through the configuration. You should now have a working touch screen. Upon the next reboot your function keys should start working. Then go to input settings and uncheck the three boxes present (speaker, shield, and check) and select either "Front Left" or "Front Right" and drag it to 0%. Your microphone should now be working (check your sound preferences to confirm this). Restart your computer and you should now have multi-touch enabled for your applications that support it (anything with scrolling and zoom in/out). Have any questions feel free to drop a comment below and I will do my best to lend a hand. Maybe I missed the memo - but whoever said Linux works with all hardware? Don't get me wrong, I think Linux is awesome (poke around on my blog some more if you don't believe me) and I openly (and often) suggest Linux to family and friends as an alternative to Windows for their computing needs. As such I've ended up butting heads with other friends and family who are techs that feel Linux is a poor operating system for a desktop computer because "Linux doesn't work with my X". Ahh yes, I completely understand. Just because Linux didn't work with your hardware means it is "not ready for main stream" or "is a poor operating system". If the back end of a screw driver doesn't work for pounding in a nail, is in the screwdriver's fault? If a full size motherboard doesn't fit into a micro-atx case, is it the motherboard's fault? If OSX may not run on non-Mac hardware, is it OSX's fault? If Linux doesn't work with a piece of hardware that was only designed for Windows, is it Linux's fault? Now, maybe before you downloaded Linux someone may have told you that it "just works with all hardware". I hate to be the bearer of bad news but - you were lied to. You have every right to be upset. In fact, if I where you I would take your download back to where you got it from and demand a full refund. Heck, I'd even demand twice my money back. You don't buy a tool for one job and expect it to do another job it wasn't designed to do. In the same respect, if you don't do your homework before buying hardware it might not work with Linux. Does a lot - heck I'd even say most - hardware work when powered by the penguin? Yep. By no means does this mean all hardware will work under Linux. In fact until we can start getting manufacturers to start developing drivers fully cross-platform there are always going to be some operating systems that are left out - and sometimes that operating system will be Linux. It is just how things work, sad and annoying as this may be. Gnome is the most popular Linux desktop environment and one of it's key features that makes it so wonderful is the "gnome panel". For those unfamiliar the "gnome panel" is the bar that is typically located at the bottom (and top sometimes) of the screen where your menu, task-bar, and icon tray are located. If you have never done it, try right clicking on some blank space and click "add to panel". You will be presented with a list of applets you can add to the panel. While there are a good number to choose from by default, there are piles of other applets you can find online to install. The following is a list of my four favorites I use on my various Linux systems around my house. Namebar allows you to optimize screen space when you maximize an application by moving the title bar and minimize/maximize/close buttons onto the gnome panel. Download the Namebar in .deb form from here. Also note that you will need to make a small edit to your compiz settings to have it properly remove the gtk bar when maximized. 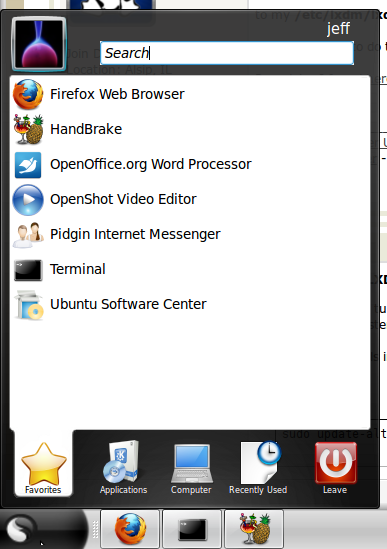 Global Menu is another great way to save screen space (with GTK applications). 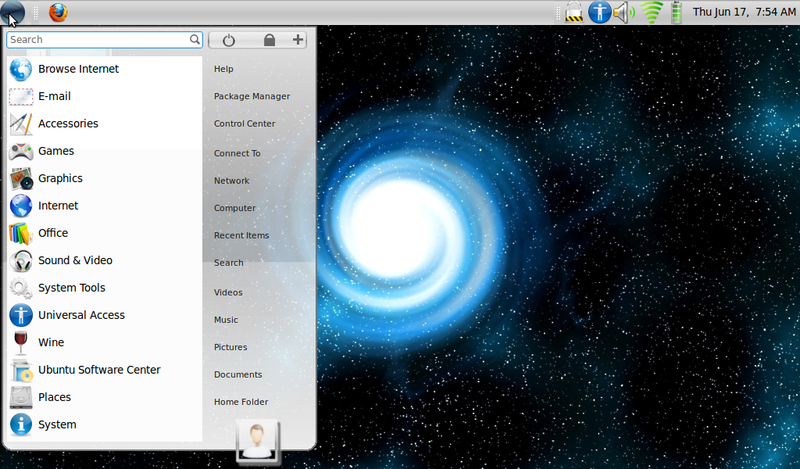 It does this by moving the file/edit/ect part of the menu to the gnome panel (similar to the OSX menu). 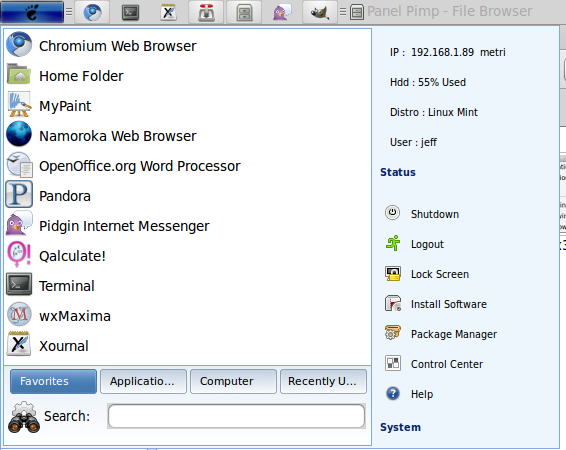 You can install global menu with .deb files you can find here. 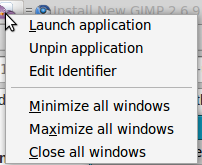 Global menu does only work for GTK applications however, so KDE apps, Firefox, and OpenOffice will not function with it as of yet. 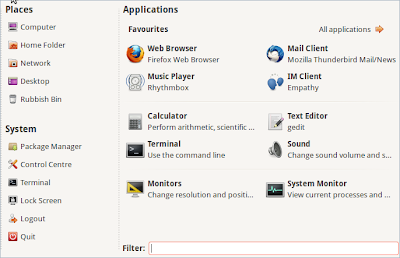 After installing any of these applets simply right click on blank space on one of your gnome panel and select "add to panel" and find it in the list. All of these applets are also decently customizable, right click on the applet and "select" properties and poke around a bit. 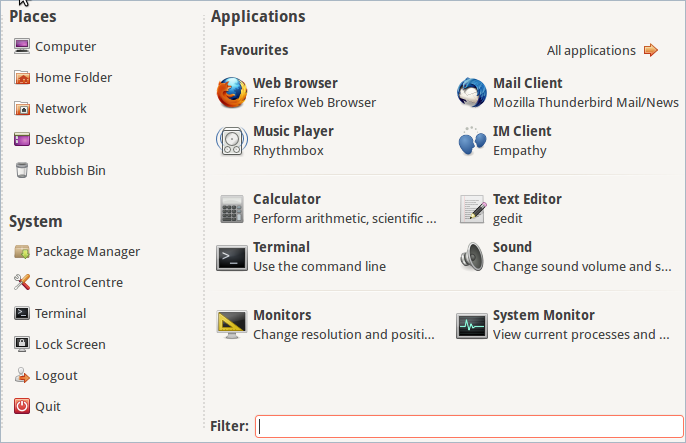 Anyone else know of fun/useful Gnome Panel applets that are not included by default in most distros? If so, let me know by dropping a comment below. So as I mentioned once before the cost of purchasing Apple hardware is outrageous compared to non-Apple hardware. That being said, OSX has been gaining a lot of ground lately (it seems every fifth laptop around campus has a fruit stamped on the back of it and OSX is gaining more games) and I like to try and keep up with the technology world so I figured it was time to give OSX a try. Now since I did not have 2,000$ laying around to purchase a Macbook capable of gaming I decided to give the Hackint0sh Project a try. 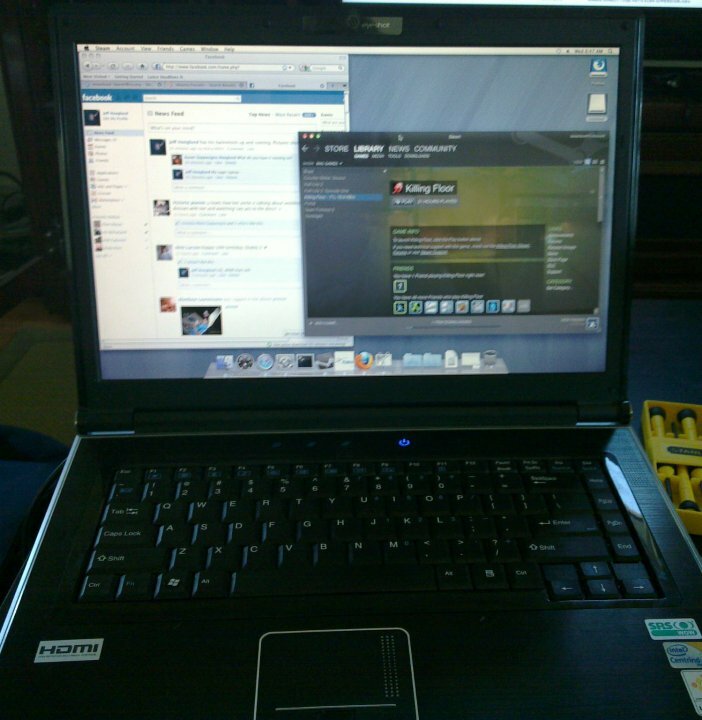 I was pleasantly surprised when I discovered my Sager laptop was almost fully functional under OSX. In fact after a bit of hacking and Googling everything other than my Intel Wifi card is functioning under Apple's operating system. If you want to run OSX the right hardware is essential. OSX supports a very limited amount of hardware, so do your homework before purchasing a computer! In case this isn't obvious - get an Intel processor. In terms of graphics cards it appears that just like with Linux, nVidia chips enjoy better support under OSx86. With wireless chips, you are going to want to get the same type of wifi card they use in a real Macbook: Broadcom and Atheros are good bets (pick the latter of the two if you also want good Linux support). When it comes down to it, also check the OSx86 wiki. Install them one at a time, if you get a Kext that does not agree with your system it will cause "kernel panic" at startup. If this happens boot into safe boot with the -x kernel argument and remove the kext you installed from the /System/Library/Extensions/ directory. If one version of a kext does not work, try another version of the same kext. For instance, I tried three versions of the VoodooHDA kext before I found one that worked. If you do change out a kext, you are going to want to "fix your file permissions" and rebuild your "kext cache". To do the first of these go to Applications->Utilities->Disk Utilities->First Aide->Repair Disk Permissions to take care of the second, at boot add the -f argument (I would also add the -v argument, so you can watch the progress instead of just wondering where it is at). Or drop a comment below and I'll do my best to lend a suggestion or point you in the right direction. 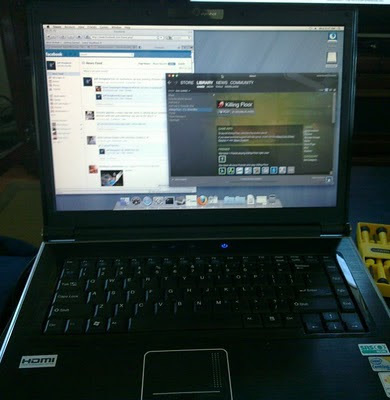 I'm still tinkering around with the operating system but, I must say I am enjoying OSX quite a bit. Do I think it good enough to make up for the outrageous cost of Apple hardware? Not quite, but with a Hackint0sh setup it is easy enough to get OSX working on non-Apple hardware if you do your homework.